Speaking on CNN’s State of the Union, Tillerson downplayed messages that Trump had previously posted on Twitter suggesting Tillerson was wasting his time trying to negotiate with “Little Rocket Man,” a derogatory nickname Trump has coined for North Korea’s leader Kim Jong-un. North Korea has conducted a series of nuclear tests in recent weeks and launched two missiles over Japan. In the same CNN interview, Tillerson denied calling the president “a moron” and insisted he and Trump have a strong working relationship. “I call the president ‘Mr. President.’ He and I have a very, very open, frank and candid relationship. We have a very open exchange of views on policy,” Tillerson said. “At the end of the day, he makes decisions. I go out and do the best I can to execute those decisions successfully. But Tillerson would not answer repeated questions as to whether he called Trump, as has been reported, “a moron” after a tense meeting at the Pentagon in July during which the national security team stressed to a skeptical president the need for a robust American presence around the globe. 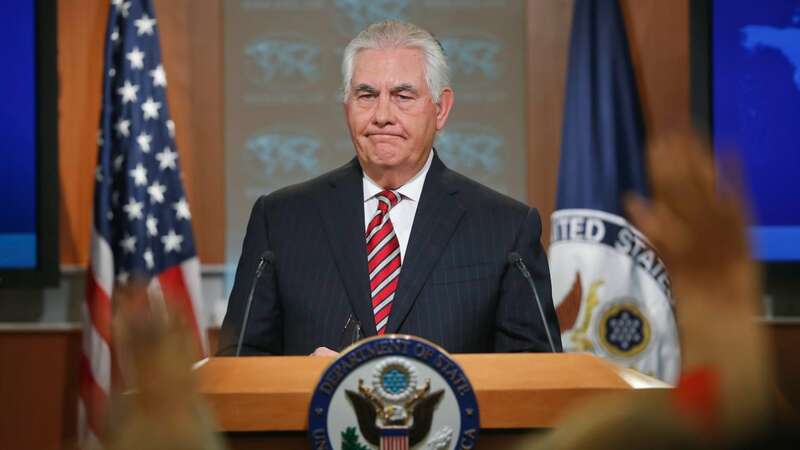 The firestorm around the “moron” comment, which was first reported by NBC, prompted Tillerson to hold a remarkable press conference at the State Department earlier this month during which he pledged loyalty to Trump but did not deny using the word. A State Department spokeswoman later denied that Tillerson said it. “And I can tell you who is going to win,” Trump told Forbes magazine. The White House later said he was joking.